With ten years of experience in accounting and assurance, Bryden is a senior manager with Welch LLP. His experience includes audits and reviews for the private sector (including car dealerships and retail), not-for-profit organizations, government audits, audits for First Nations, municipal governments. Bryden is also a member of our firm’s Quality Control and Professional Standards Department. 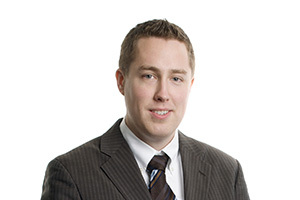 Prior to joinining Welch LLP in September 2011, Bryden had spent five years at a big four firm here in Ottawa. Bryden graduated from Queen’s University with a Bachelor of Commerce (Honours) in 2007 and obtained his Chartered Accountant / Chartered Professional Accountant designation in 2010. Baltic Cruise with my wife Janis through Sweden, Finland, Russia, Poland and Latvia. My two kids, Liam and David.